Why wait for the iPhone X? It’s not hard to find five good reasons. The iPhone X won’t ship until November 3 and many consumers may have to wait longer (possibly until next year). But Apple’s “reinvented” iPhone is probably worth the wait. A better iPhone 8: bigger display yet small chassis: despite the chassis being only slightly larger than the 4.7-inch iPhone 8, the X’s 5.8 inch display is bigger. (See Apple’s Human Interface Guidelines for the iPhone X.) In other words, it’s almost all screen with no borders and no wasted space. In portrait orientation, the width of the display on iPhone X matches the width of the 4.7″ displays of iPhone 6, iPhone 7, and iPhone 8. 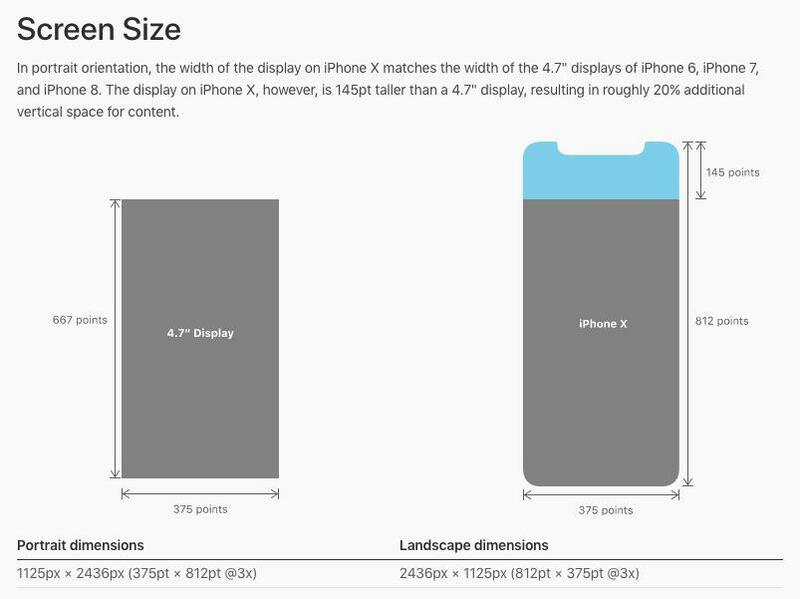 The display on iPhone X, however, is 145pt taller than a 4.7″ display, resulting in roughly 20% additional vertical space for content. 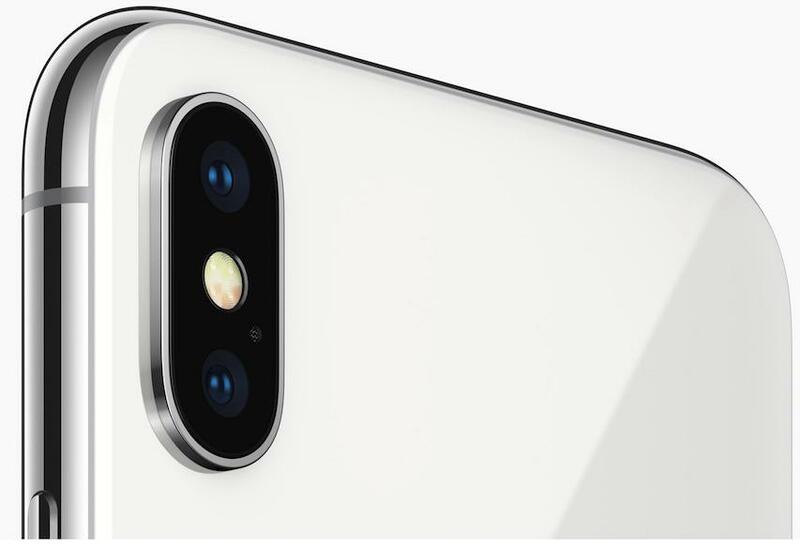 Rear camera: more advanced than iPhone 8/iPhone 8 Plus: The iPhone X camera system should blow past the already-excellent camera on the iPhone 8 Plus. “The iPhone 8 and 8 Plus just tested higher than any previous cellphone cameras in DxO’s mobile testing and it’s pretty much a given that the X will match or surpass those results,” Barnaby Britton of DPReview.com told me in an email. While the iPhone X and iPhone 8 Plus both have 12-megapixel wide-angle and telephoto cameras, optical zoom, and wide angle f/1.8 apertures, the iPhone X outdoes the 8 Plus by using a telephoto f/2.4 aperture, which should be better in low-light conditions than the iPhone 8 Plus’ f/2.8. The iPhone X also bests the iPhone 8 Plus with its dual optical image stabilization on both the wide and telephoto: the 8 Plus has optical image stabilization only on the wide angle. Face ID/TrueDepth camera (notch, sensors, and front camera): Face ID uses Apple’s new TrueDepth Camera, which is not on the iPhone 8/8 Plus. Face ID unlocks the phone — replacing Touch ID — and is used for things like Apple Pay. The notch is packed with sensors, cameras, and chips the iPhone 8/8 Plus doesn’t have: a “Dot Projector” that throws out more than 30,000 invisible dots onto your face to build a facial map. And a “Flood Illuminator” that uses invisible infrared light to identify your face when it’s dark. And an infrared camera that reads the dot pattern, captures an infrared image, then uses the data to confirm a Face ID match. No Home button / replaced with swipe up: swipe from the bottom to get out of an app and back to the home screen. And don’t forget tap to wake. Display: highest pixel density / highest contrast ratio: the X has the highest pixel density ever for an iPhone: 2436-by-1125-pixel resolution at 458 pixels per inch (PPI) and a one million-to-one (1,000,000:1) contrast ratio, which beats the 401 PPI on the iPhone 8 Plus and far exceeds the 1400:1 contrast ratio on the iPhone 8, respectively. Apple of course has to do all of the above to justify the $1,000-and-up price tag. “This is…just a theory, but given that iPhone X represents such a big departure from existing Apple design, realistically, it’ll take Apple at least 2 years to refine the technology and components before making the iPhone X mainstream,” said Wayne Lam, an analyst at IHS Markit, told me.